Canterbury design-and-build specialist Geoff Read Ltd is building the new Clearwater Mussels facility at Havelock. 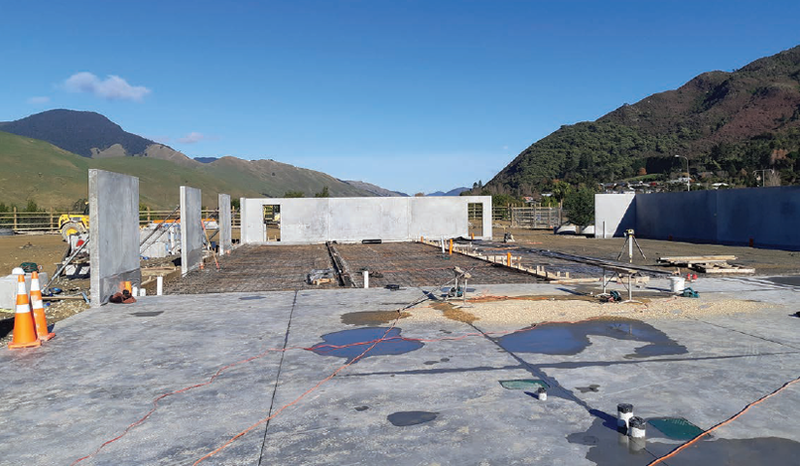 With an eye on future growth, one of Marlborough’s leading mussel farmers – Clearwater Mussels – has secured space at Havelock for a sophisticated new facility designed to meet its ongoing service, support and manufacturing needs. 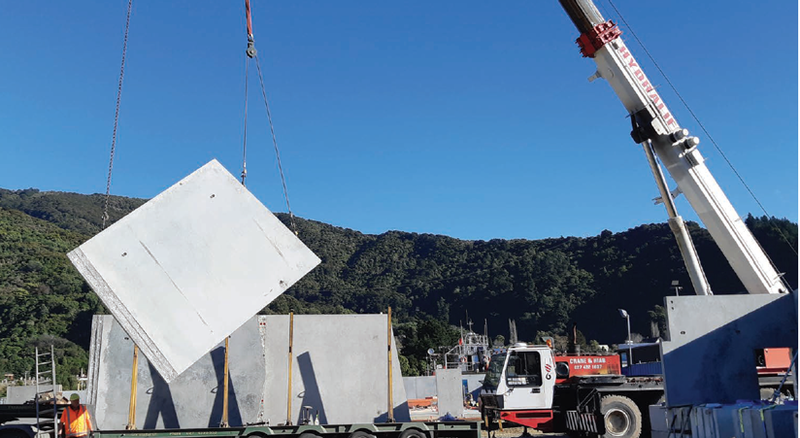 Canterbury design-and-build specialist Geoff Read Ltd is working closely with Port Marlborough New Zealand Ltd and Clearwater Mussels to develop the new base of operations, currently under construction at Havelock in an industrial area close by the wharf. Activities poised to be accommodated in the new Port Marlborough facility, which will be leased to Clearwater Mussels, include the manufacture of sock cotton/socks (the long mesh tubes used in mussel farming), the reconditioning of rope for ongoing use, and recycling of old floats. The company’s office and engineering workshop will also be based in the new building. As well, a second smaller building is being constructed for making new floats. John first met Rob Read, who runs Geoff Read Ltd with his brother, when they were both members of the same ski club – Mt Olympus in the Craigieburn Range – and involved with a complete rebuild of the club’s lodge. Geoff Read Ltd is a well-established Ashburtonbased business that comes to this latest project with long experience in the agricultural sector, including construction of a large number of rotary dairy sheds in Canterbury through to Golden Bay and Marlborough. That design-build expertise is now being deployed to deliver one of the country’s best aquaculture servicing facilities at Havelock. “We’ve worked in the area in the past,” Rob says. Following 18 months of planning and preparation, building on site got underway in early May. By mid-June, the project was proceeding smoothly with the main floor slab poured and precast panels erected. These pre-cast panels were transported up from Ashburton. Together they have also been working closely with the engineering team at Port Marlborough. “It is on reclaimed land so we’ve had to design the building so it sits lightly on the site,” Rob says. Following 18 months of planning and preparation, building on site got underway in early May. In 2015, John Young and his partner Lyn Godsiff made history when they became the first marine farmers to win Lincoln University Foundation’s South Island Farmer of the Year, (sharing top honours also with Richard and Annabelle Subtil of Omarama Station). This latest development continues to put them at the forefront of farming in New Zealand.